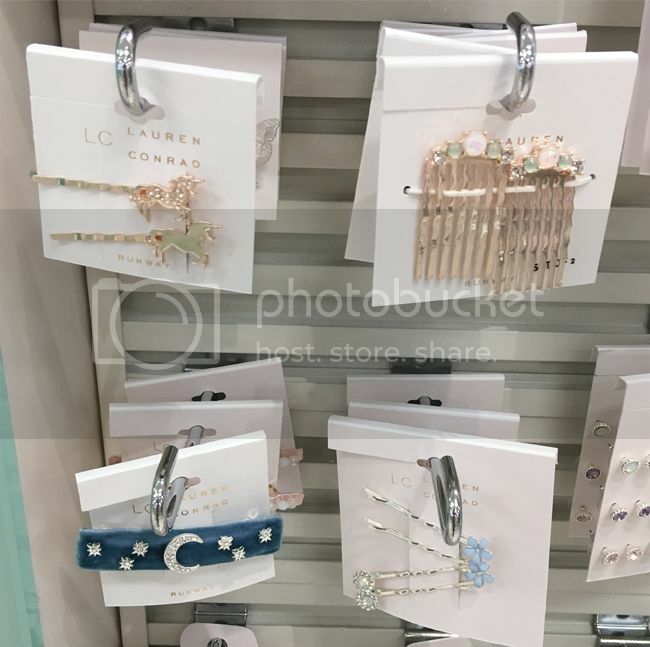 Lauren Conrad's LC Runway Collections for Kohl's haven't let me down in the past, so when I heard about the glam Fall 2017 collection via social media, I was excited to step into Kohl's on a quiet weekday morning to browse and try on the new merchandise. 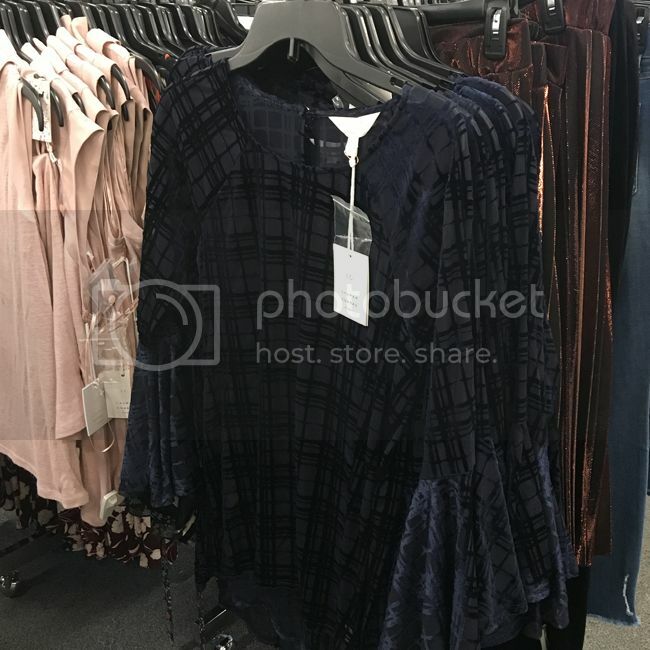 This marks the first time that plus sizes are available, although my store only carried up to size 16. 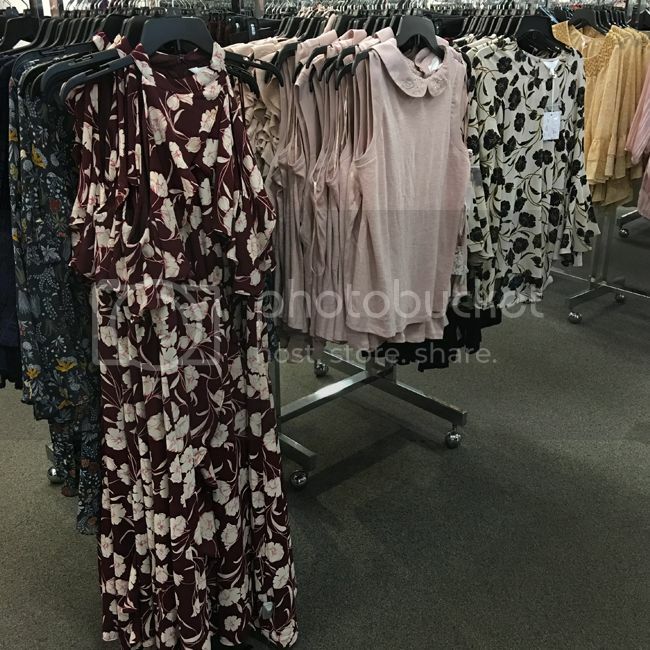 Unfortunately, my store carried a very limited selection of clothing, so I wasn't able to try on my favorites. They brought back the popular moto jacket with rose gold hardware ($89.99), which I have from last season and adore. It's online only and also comes in a beautiful, deep shade of navy. If last season is any indication, the jacket will sell out soon. Here's a quick look what my store carried. 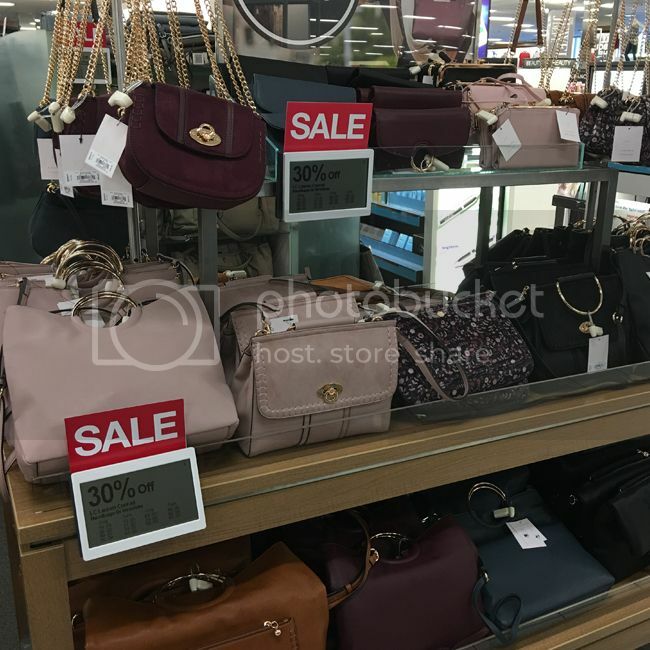 The collection stayed true to Lauren Conrad's romantic style, with rich shades of burgundy, shimmery pleated skirts, delicate details, dark florals, and flowy silhouettes. The ruffle midi dress ($54.99) was worn by Lauren Conrad in the Kohl's Insta story this week. It looks amazing with these velvet platform heels in blush from the collection. The navy velvet flocked top ($32.99) has a slit back, bell sleeves, and loose silhouette. It also comes in blush. 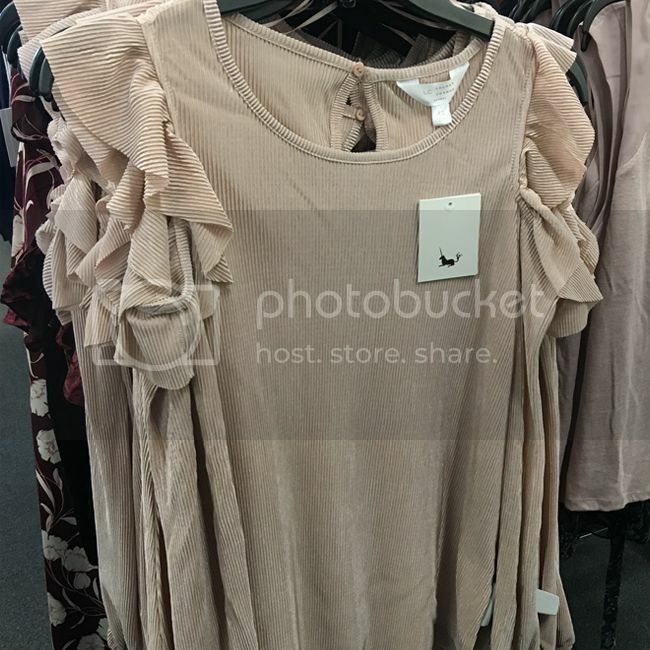 Ruffles and shoulder cut outs make this pleated cold shoulder top ($29.99) feel dressy. I love it tucked into this pleated velvet skirt from the collection. The top also comes in black. 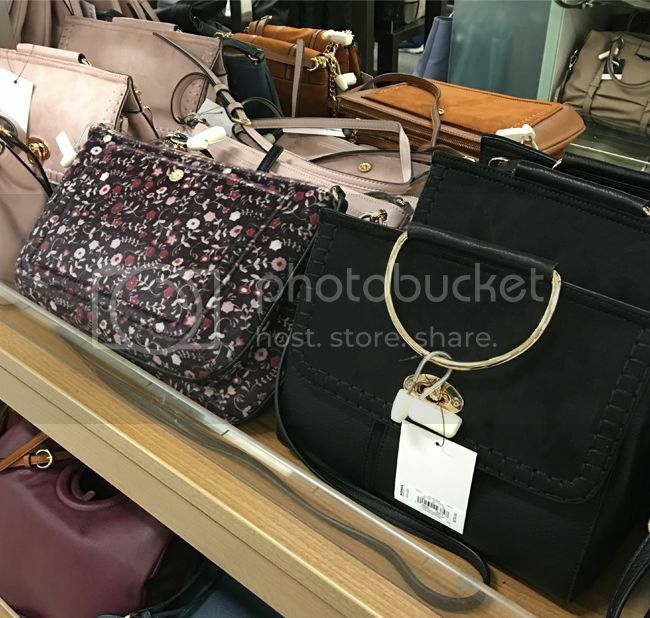 The LC Lauren Conrad Fall 2017 handbags came in chic, on-trend styles with ring handles, muted colors, and pretty florals. The delicate jewelry and hair accessories are not to be missed. They feature whimsical and celestial-themed barrettes, hair pins, and necklaces. The unicorn necklace is one of my favorites. I styled the floral flutter top ($39.99) with the pleated metallic skirt ($47.99), both in my regular size small. The top has a vented open back with slits, bell sleeves, and a loose shape. The skirt is a pull-on style with a pretty bronze shimmer and mid-calf length. 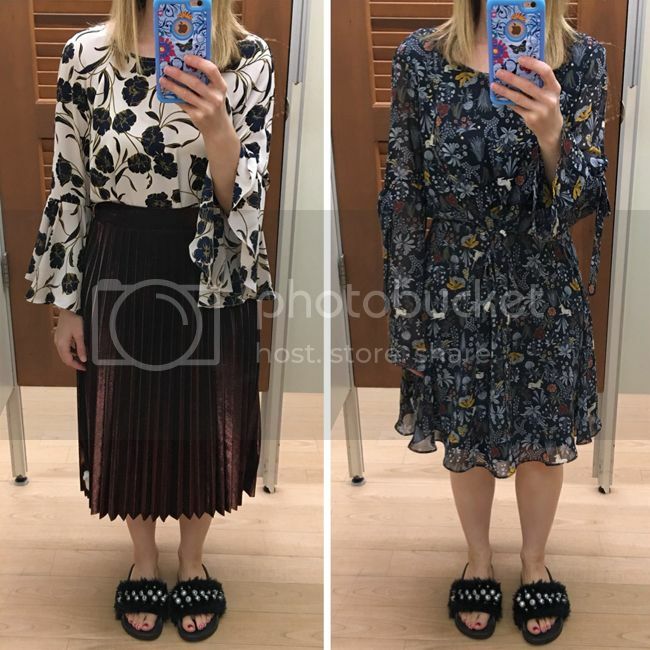 On the right is the floral fit and flare dress ($50.99). I'm wearing medium because they didn't have a small. The tie waist allows for a custom fit, and there are more ties on the sleeves. It's a nice, lightweight dress that will work well with chunky cardigans and jackets for fall. I found all of these LC Runway pieces to run true to size. 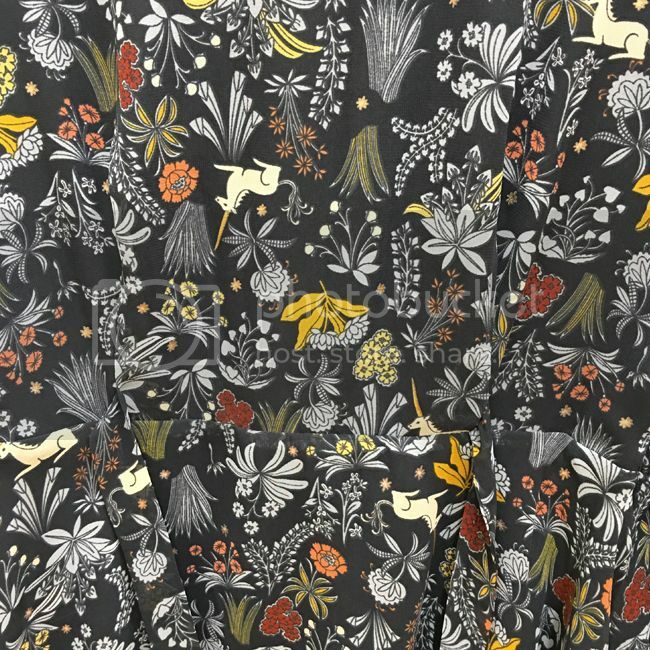 Here's a detail shot of the floral print on the dress. 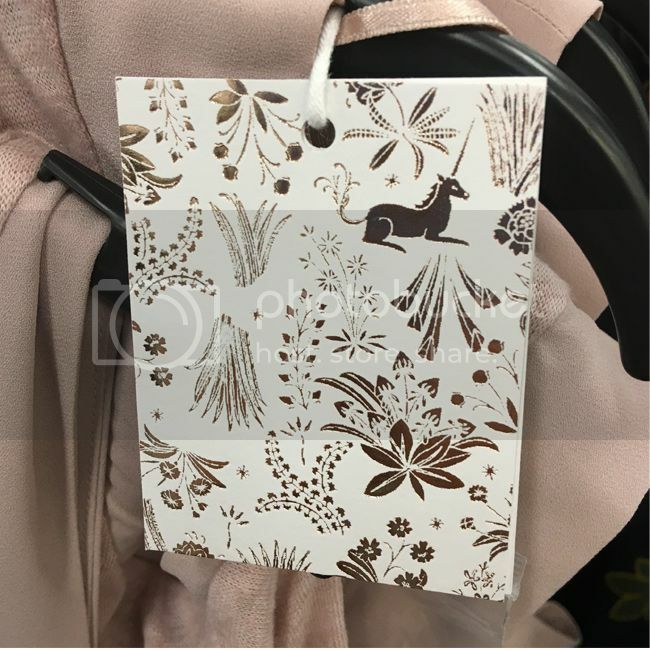 I spy adorable unicorns, which are a recurring theme in the collection and on the hang tags. To see more photos and outfit ideas, find me on social media @thekeytochic.